Queen Elizabeth II at 7 Years Old. Queen Elizabeth II when she was known as the The Princess Elizabeth of York at 7 years old. 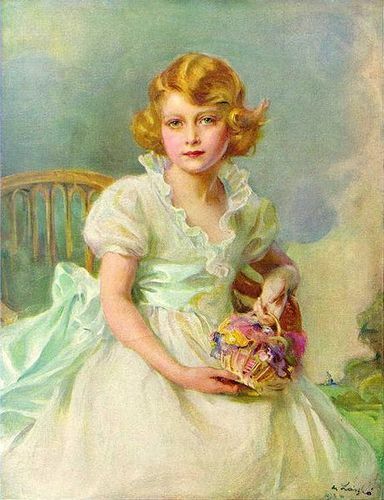 Painted 1933 par Philip Alexius de Laszlo.. Wallpaper and background images in the rois et reines club tagged: queen elizabeth ii princess elizabeth queen elizabeth england royalty monarchy. This rois et reines photo contains polonaise. There might also be demoiselle d'honneur, demoiselle d’honneur, hoopskirt, crinoline, jupe à paniers, kirtle, and rapporté.